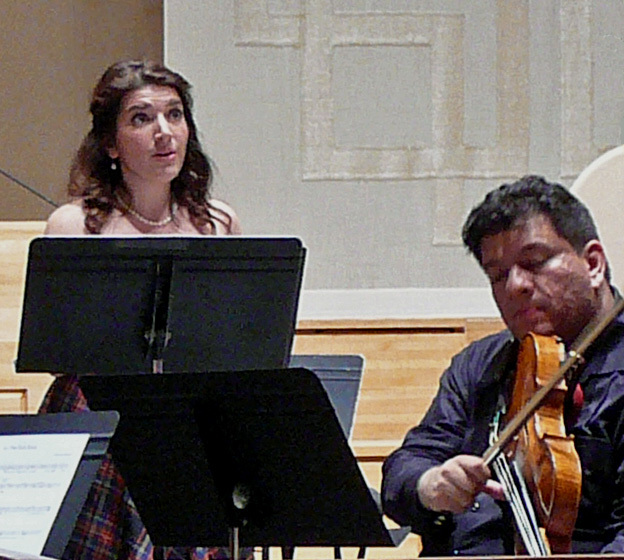 “The Rose Cycle” is a new com­po­si­tion for soprano and string quar­tet, and it pre­miered April 22, 2014. The con­cert was pre­sented by the New York Com­posers Cir­cle at Saint Peter’s Church at the Cit­i­group Cen­ter. 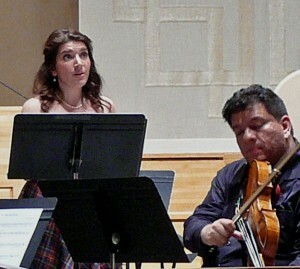 Pic­tured here is the singer, Sofia Dim­itrova, and the vio­list Edmundo Ramirez. The entire ensem­ble is the Bleecker StQ.